The greatest breakthrough in the history of dentistry. LUMINEERS®—Porcelain veneers that do not require removal of painful tooth structure. If for any reason you would like the veneers we do offer veneers. Your Doctor can discuss your options with you in more detail. 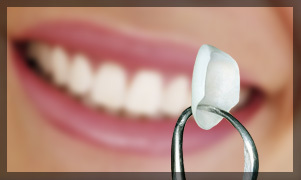 Veneers are custom made tooth-shaped shells that can correct or hide discoloration, damage or misalignment.